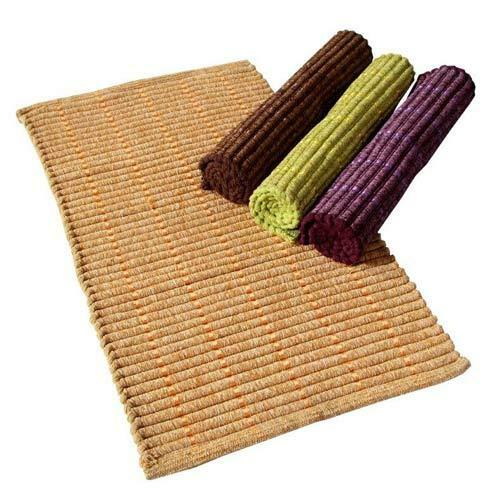 Our classy range of COTTON Chenille Textured Rugs presents an ultimate combination of best quality cotton and micro fiber. Meeting clients’ needs to the best of its concern, the collection comes in variant shapes, sizes and style meeting the fashionable demands. 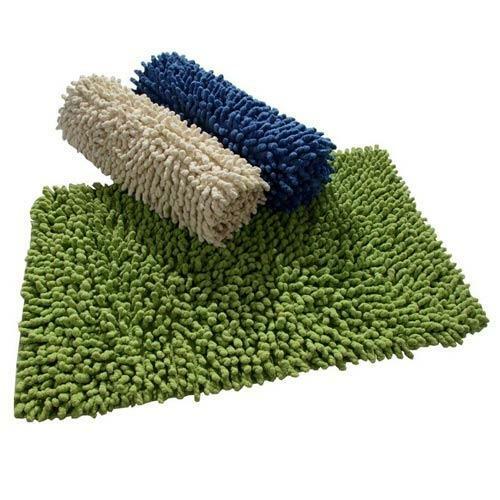 Manufactured from 100% cotton and micro fiber, Cotton Chenille Textured Rugs offered by us are available in a multitude of colors followed by flawless collection of designs.this is hand made. So many designs. Made with best quality raw materials. We are making chenille in rib, loop. flat weave,stripes,paddle weave.we can make any size. 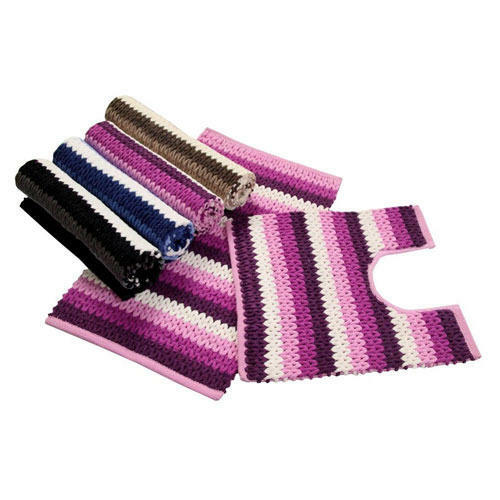 Our company offer exquisite range of premium quality cotton chenille LOOP rug, which is available in variety of amazing patterns like stripes, loop, flat weave,paddle weave and designs that show the outstanding work done on it. 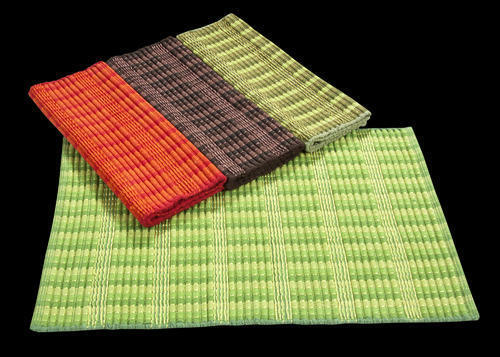 We offer these cotton chenille rugs in various color combinations that helps in grabbing the attention of our respected clients. We can make any size any color. 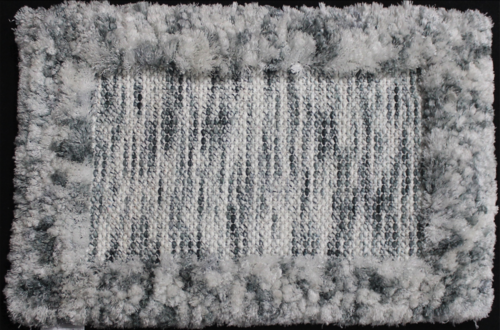 Our classy range of Cotton Chenille Textured Rugs presents an ultimate combination of best quality cotton . Meeting clients’ needs to the best of its concern, the collection comes in variant shapes, sizes and style meeting the fashionable demands. 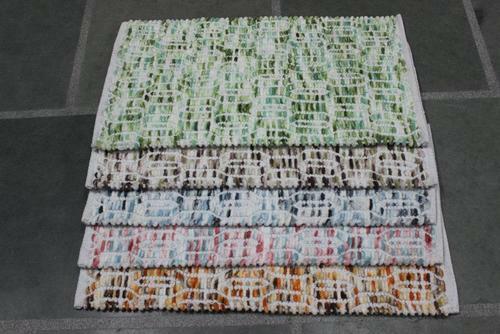 Manufactured from 100% cotton, Cotton Chenille Textured Rugs offered by us are available in a multitude of colors followed by flawless collection of designs.this is hand made. so many designs. we r making chenille in rib, loop. flat weave,stripes,paddle weave.we can make any size. 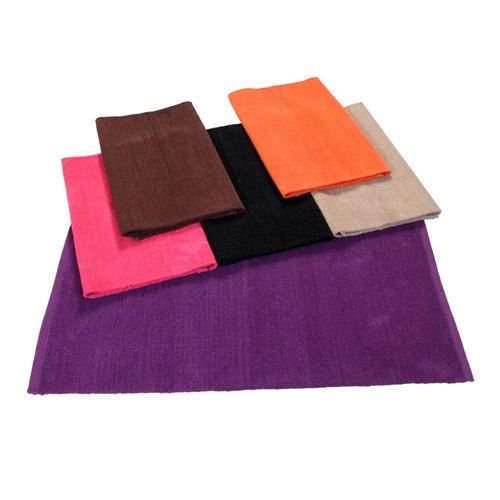 Our classy range of SOLID COLOURS Cotton Chenille Rugs presents an ultimate combination of best quality cotton . Meeting clients’ needs to the best of its concern, the collection comes in variant shapes, sizes and style meeting the fashionable demands. 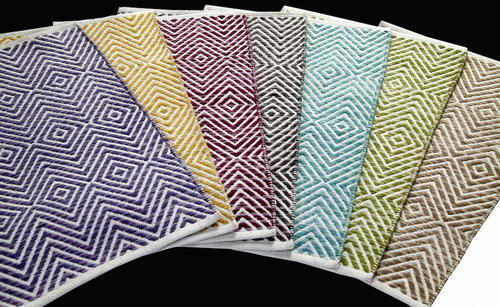 Manufactured from 100% cotton, Cotton Chenille Textured Rugs offered by us are available in a multitude of colors followed by flawless collection of designs.this is hand made. so many designs. 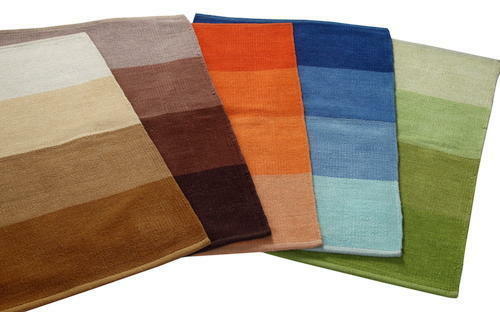 Step out of your bath or shower onto the exquisite softness of the micro Chenille Bath Rug. 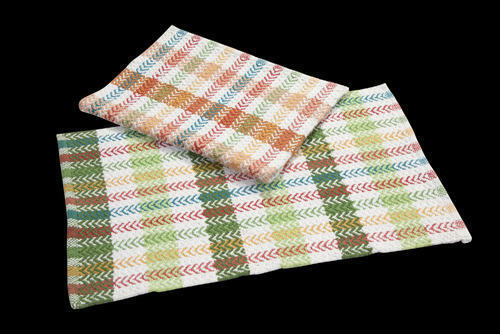 Made from a durable micro polyester/cotton blend, this Bath Rug has a pile weave that cushions your bare feet with plush firmness. The delicious Mint Ash color lends a splash of bright style to any bathroom decor. 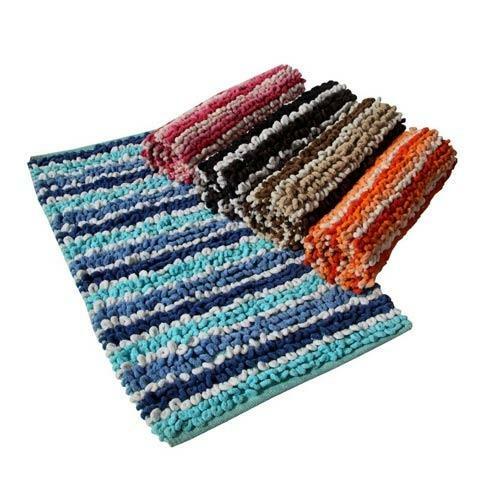 Decorated in a trendy tie-dye design, the Stax Space Dye Bath Rug Set makes a stylish update to your bathroom decor. 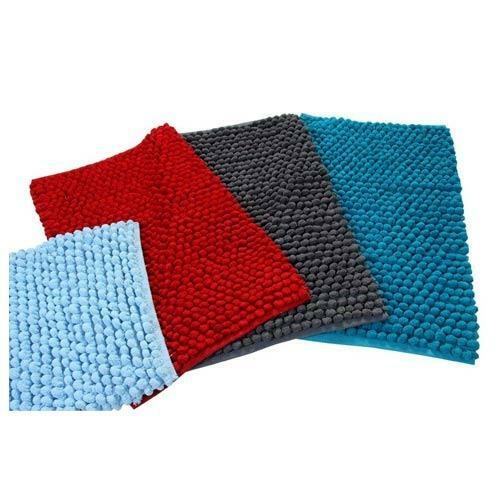 Boasting a thick and durable construction, this soft cotton mat brings plush pleasure to your feet after a shower or bath. 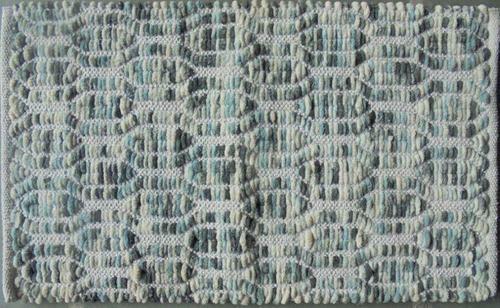 Looking for “Cotton Chenille Rugs”?